It’s been a perfect day in the Exumas. The islands are gorgeous. The water feels like bathwater. There’s not a cloud in the sky. While you hung out with iguanas on deserted beaches, trawled for snapper, ate lunch on an empty sandbank, and snorkeled with sergeant majors over a sunken airplane. You were able to see and do so much due to your private boat. You don’t own a boat. You’d actually never even driven one. But an 18-foot power boat, as well as unlimited gas, is part of the all-inclusive package at Fowl Cay. So you took advantage of it. You started the morning with a detailed orientation and listened intently to the safety instructions. You eagerly accepted charts, a compass, and suggestions. Then you set out, slowly at first, to explore. You’re returning to the resort just in time for the boat’s 4:30 pm curfew. 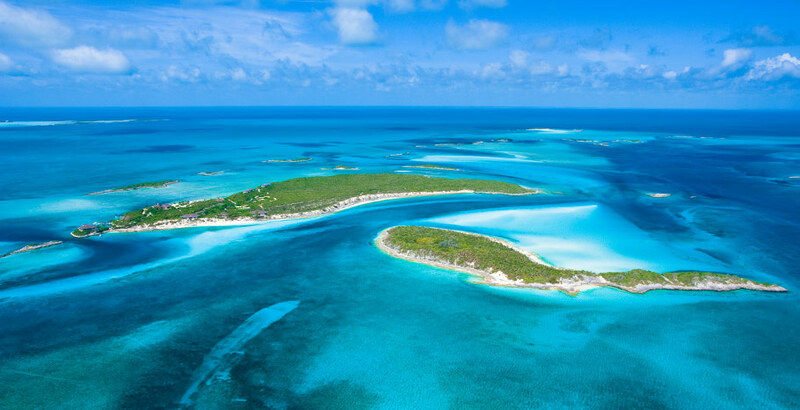 Fowl Cay is one of the 365 Exumas, a string of islands that stretch across 120 miles south of Nassau. The 50-acre island was once the local chicken coop, hence its name. It wasn’t until the 1950s that a French couple purchased it and built a home. A single resort was eventually created in 2002. But, as you probably already guessed, this isn’t your typical resort. There are only six villas on Fowl Cay. Each one features plenty of indoor and outdoor space, stocked kitchens, and recently redecorated bedrooms. White rocking chairs sit on the patios. Hammocks are strung between palmetto trees. A golf cart, currently in the ground-floor garage, is your transportation around the island when you don’t feel like walking. 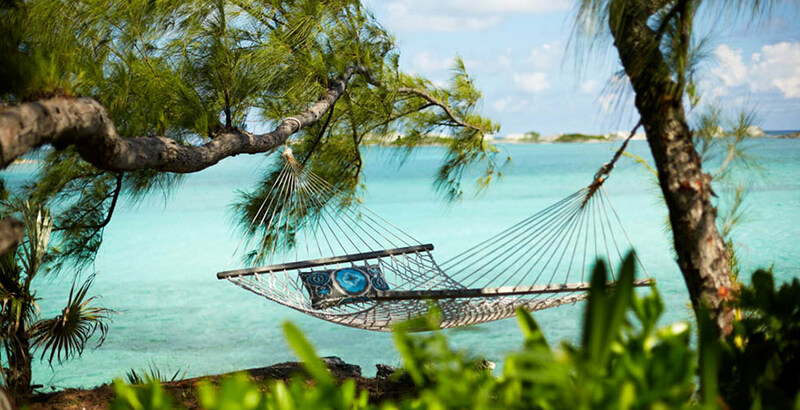 Plus your villa, the one-bedroom Lindon Villa, overlooks North Beach with Gaulin Cay in the distance. Beside the villa, the golf cart, the stocked kitchen, and, of course, the boat, there’s a lot more included with your stay at Fowl Cay. Your lunch, which you ate on that empty sandbank, was packed in a cooler by the chef before you departed. Beer in the fridge, frozen drinks by the pool, and wine during cocktail hour are always available. Seafood dinners are served at the Hill House, where there are 360-degree views of the Exumas and tables situated to watch the sunset. While every request, big or small, will be fulfilled if at all possible. So what’s your first request? A Bahama Mama or a Piña Colada with hors d’oeuvres on the terrace? Grilled sea scallops or fire-roasted mahi-mahi for dinner? Guava cheesecake for dessert? Or the promise that your boat will be ready for you to leave at 9:00 am tomorrow morning, so you can go swimming with nurse sharks? Done and done. There’s another perfect day in the forecast.